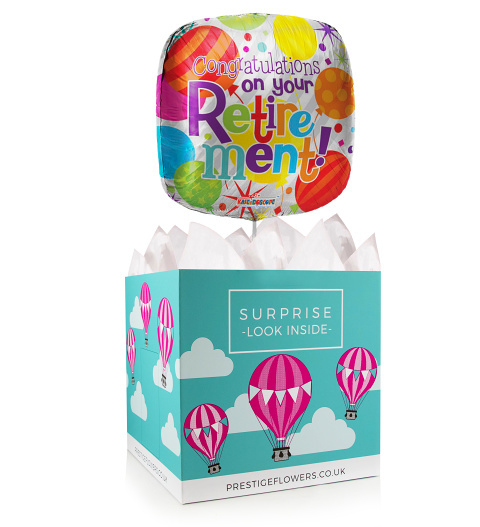 We have chosen a fun 18-inch helium balloon and colourful gift box perfect for giving your coworker or loved one a memorable sendoff. We also offer a selection of optional extras such as wine, chocolates, cake, and cuddly bears. Send us your personal message and we will include it in the gift.